Do you want to be a gardening ninja? Able to make plants grow quicker, better, stronger, through seemingly mystical skills? Astound your neighbors, make your friends jealous, all you need is not some ancient Japanese martial art, but science! That miracle of modern, well…, science! There are three neat gardening tools we can thank science for, all are safe, all are natural, all are even frugal in the long term. Do you hate Japanese beetles? I do, and you should. They are an invasive species, they are not meant to live here in the US where they have few natural predators. They eat plants, they eat more plants, and their larvae, grubs, eat grass roots. Once adults at certain times of the day you can go out and just kill them manually, and I mean manually, they aren’t flies, they aren’t even mosquitoes, these things are dumb and don’t realize that hand approaching is their death. You can crush them, or just pick them off and drop them in a bucket of soapy water to die. 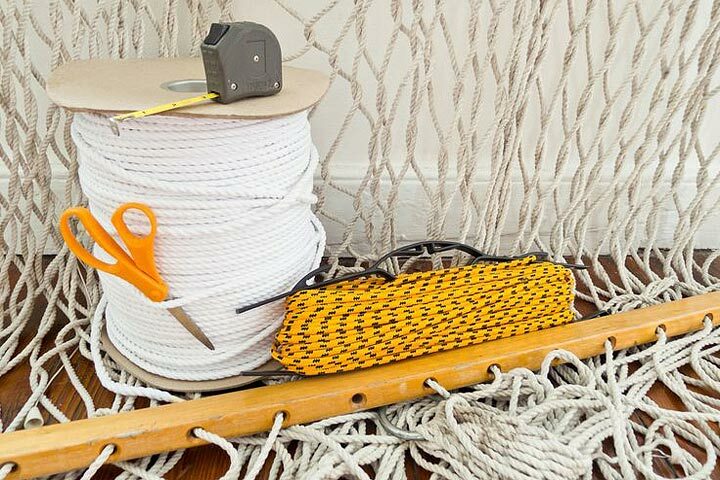 There are also scent based traps that work surprisingly well, look for them at your home and garden center. However the best way to control them is by killing them in the grub stage. There are chemical treatments you can buy to spread on your lawn and garden beds, but these things can kill other creatures as well, such as earth worms, which you want to keep. So instead, try milky spore. 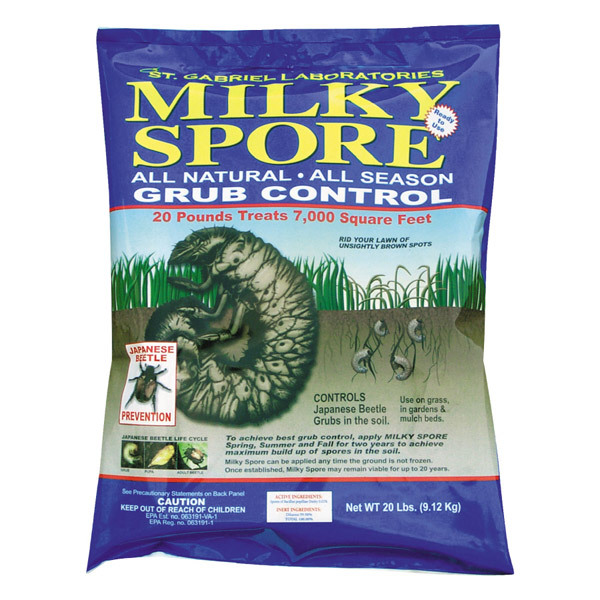 Milky spore is a bacteria that kills beetle grubs but is harmless to everything else. Additionally, once you have a colony established, it can persist in the ground, and multiply, for decades. Rather than having to apply a chemical every year you can apply milky spore once, maybe twice, and let it go. So in the long run, not only is it safer, it is cheaper, and we all like cheaper. 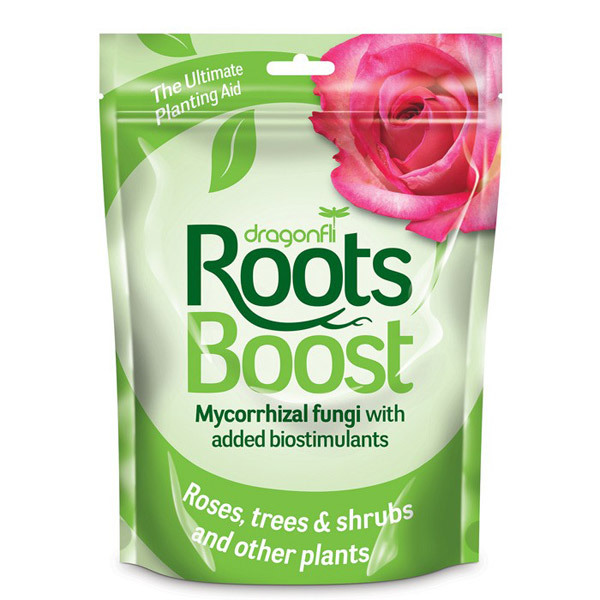 Mycorrhizal isn’t actually a type of fungus, it is a word that means symbiotic. There are actual different types of fungus that form the mycorrhizal relationships, but generally they’re all lumped together under the name mycorrhizal fungus, sometimes just called myke fungus. So what does it do? It forms a symbiotic relationship with plant roots whereby the fungus grows out into the soil vastly, and I do mean vastly, increasing the range from which the roots can feed and helping the plant absorb more water, more nutrients, and even some new nutrients it couldn’t absorb directly, in exchange some of the carbon from the plant’s leaves absorbing CO2 is traded to the fungus. It is a beneficial relationship for the plant and numerous university studies show plants treated with mycorrhizal fungus grow much better. The goal with this is to treat plant roots with the fungus so obviously this is best done at planting time, dipping the roots of bare root plants in a tea of the product, or scattering it in the planting hole. 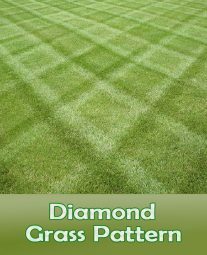 However apparently you can also gain the benefits through careful surface applications or by digging core holes down around the root zone. Plants treated in this manner grow bigger and faster than others, and are more suited to combat drought or nutrient deficiencies, as such you need to water and fertilize less often, saving time and money. 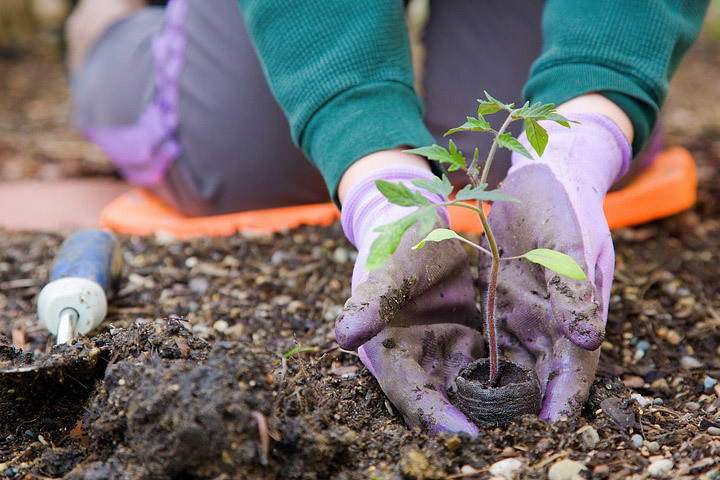 Additionally by helping to establish the fungus in your soil eventually you may not need to even treat new plantings with the fungus as it will already be active in the soil. Some scientist found a crazy crystallize structure that absorbs and holds water, tons of water, then they engineered the crystals out of corn starch to be biodegradable and water absorbing crystals were born. These things are amazing. They are barely larger than a spec of sand when dry, but when wet they rapidly grow to being bigger than a mini marshmallow. All that size growth is absorbed water, then they slowly give it back, keeping the soil moist and watered for a long period of time. These things are a must for any container planting that you don’t want to water on a regular basis. 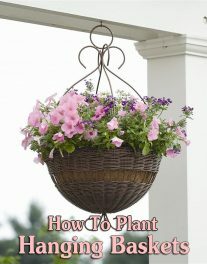 As well you can use them if you plant water loving plants among those who do not need so much water. For instance, I’ve planted hardy hibiscus, which needs a ton of water, next to yucca, which prefers dry conditions. If I were to water the entire garden area for the hibiscus the yucca would drown, if I would water for the yucca, the hibiscus would wilt. So I simply added crystals around the hibiscus, problem solved. In areas of the country with watering restrictions these, along with rain barrels probably, are a must have. 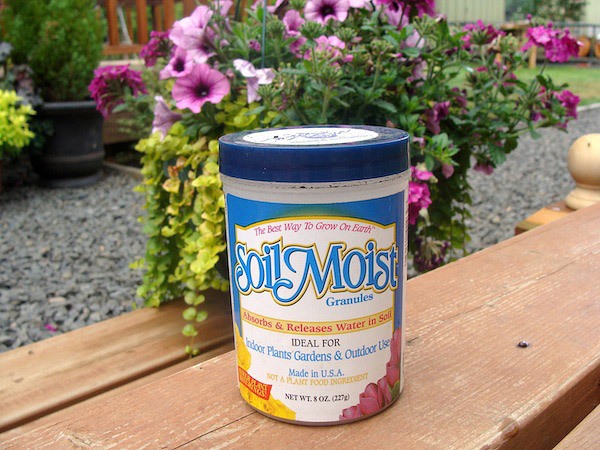 Use them on your entire garden to save your water bill. Now, they are biodegradable so you will have to replace them eventually, but the watering savings should make it a worthwhile project.